If you collect Morgan Dollars then you have probably heard about of the Peace Dollar. The peace dollar was in Mint starting in 1921. So in 1921 we have the 1921 Morgan Dollar, but we also have the 1921 Peace Dollar! If you collect Peace Dollars this book is for you! A Guide Book of Peace Dollars! On sale 27% off the list price of $19.95. Today it's only $14.61 plus FREE Super Saver Shipping! The Peace Dollar was minted from 1921 to 1928 and then again in 1934 and 1935. A competition was held to find a design that said "peace" Anthony De Francisci won that competition! The Peace Dollar was first minted on December 28th,1921 seems pretty close to the end of the year. But in the small amount of time they were able to produce just over a million Peace Dollars with the date 1921! Do you want a Removable Wall Graphic to hang above your desk or where ever you would like? These Morgan Dollar WallMonkeys Peel and Stick right to the wall. All orders are Custom printed and made in the USA! No nails or glue needed to hang these up. Simply peel and stick! Today these Morgan Dollar Removable Graphics are selling for $33.99 in a variety of different sizes! I think one of the best ways to get into coin collecting is start simple! Pick a coin and try to collect every year the coin was ever minted. 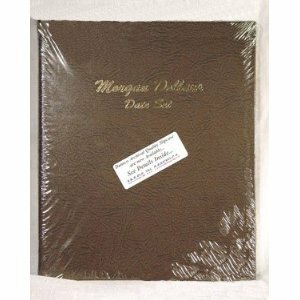 This Morgan Silver Dollars Date Album would make a great gift or a great gift for yourself. If you want to collect the Morgan Dollar by each date this album has got you covered. 3 pages hold one Morgan Dollar for each date between 1878-1904 plus 1921. If you're looking for a book that would display your year and mint this is not the book for you. It is organized only by year. Coin collecting can become a life long passion for anyone. You can collect any way you want! Start with what is in your pocket or try to collect every state quarter. In 1999 the United States Mint produced a series of 50 quarter dollar coins each one had a special design honoring each state. States were produced in the order of their entrance into statehood. Those are always fun and achievable goal. You could collect the Kennedy 1964 - to date. And of course you can collect the Morgan Dollar! The list goes on and on just start somewhere anywhere and you too will understand why we love to collect the way we do. It's not just about setting a goal and completing your collection, it's about the journey! If you're into collecting coins and want to know the value of a coin in your collection or perhaps your thinking about purchasing a new coin. 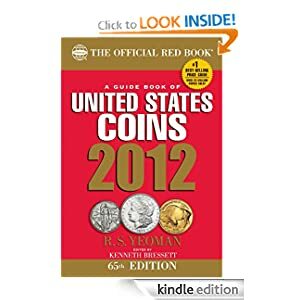 It is good idea to have a Coin Guide Book. Keep in mind the coin market is a very active one so values are always changing. Think of the book as exactly what they call it a guide a starting point as you research your coin. What would a buyer pay for a particular coin? That is why I like to do a little of my research on eBay for my Morgan Dollars. If you go to completed auctions you can see exactly what the market did pay for a particular coin. The more research you do as a buyer and seller the better! Containing Mint records and wholesale prices for U.S. coins from 1616 to the present time, including colonials, regular issues, commemoratives, territorials,gold, Proof sets, and Mint sets. Information on collecting coins—how coins are produced—mints and mintmarks—grading of coins—location of mintmarks—preserving coins—starting a collection—history of mints—and interesting descriptions of all U.S. copper, nickel, silver, and gold coins. Illustrated. Let's take a trip to South Carolina with Michael on his treasure hunt to find coins, relics and buried treasures! Today Michael finds his first Morgan Silver Dollar about 4-5 inches deep in the South Carolina sandy soil. He finds an 1889 Morgan Silver Dollar! It's crazy how some Morgan Dollars come out of the ground looking almost new while others look like they have been in the ground since 1889! This particular coin looks like it has been in the ground for all that time, but it's still an amazing find! 1889-CC - Carson City Mint had 350,000 circulation strikes. 1889-O - New Orleans Mint had 11,875,000 circulation strikes. 1889-S -San Francisco Mint had 700,000 circulation strikes. YouTube Source - You can check out Nugget Noggin Channel. Retrieving History with Nugget Noggin! Where did the Silver come from? The mints silver use to come mostly from Mexico and South America but since 1800's most of the silver came from mines in the United States.Usually you didn't find gold and silver all by it's self no, a gold nugget might have some silver ore or some lead and copper might contain silver ore. The California nugget usually held about 88% gold with the remaining being mostly silver. The lead and copper ores of the west contained silver as well. There were copper minerals of Utah, Arizona and Montana that contained Silver. Now how to part the gold from silver. There were generally three methods used when parting. The nitric acid process was the oldest mostly used in the fifteenth century. The sulfuric acid which was in full swing by the 1880's followed by the electrolytic process which started in 1901. In the end simpler and cheaper won out. The advantages of the electrolytic process was it didn't require large quantities of silver and acids to process. Now that you have your pure form of silver the first step would be to get you proportions correct which would be 900 parts pure silver to 100 part of pure copper. This melted mixture would be poured into ingots which were rolled flat to produce dollar planchets. There were many checks and balances along the way to ensure the correct proportions of silver/copper. Soon that silver was on it's way to becoming a Morgan Silver Dollar. The entire process is amazing that they could find the precious metal tightly wrapped around each other and figure away to extract both the pure form of gold and pure form of silver with the end result being the Morgan Silver Dollar! United States adopts standard time. The cornerstone for the Statue of Liberty is on Bedloe's Island in New York Harbor. Worldwide the Long Depression was being felt which lasted from 1873-1896. At first it was called the Great Depression, but lost that name when the Great Depression came along in the 1930's. Susan B. Anthony addresses the United States House Judiciary Committee arguing they amend the United States Constitution grant women the right to vote. Susan B. Anthony dollars were minted from 1979-1981 and again in 1999. How the GSA Inspected 3 million Morgans for Mail Order! When the treasury holdings were getting low; dwindling from 180 million Morgan Dollars down to 28 million in 1964 the treasury decided to do an audit. Out of this audit 3 million Morgan Carson City Dollars were set aside and distributed by mail order. Two assembly lines were set up consisting of 22 women on each line plus several supervisors and helpers to make sure nobody ran out of boxes and such. Each line could pack up to 10,000 boxes during an 8 hour shift. Security was top priority as you can image. Each box of 1,000 coins had its own seal and was recorded. You needed two people to open the vault which was guarded 24 hours a day by a security guard. Photo Source - Library of Congress. The photo is of Mrs. Edness Wilkens secretary to Nellie Tayloe Ross who was the director of the mint. At the time she lived two doors down from the mint and gave part of her silverware for the first coins, April 11th, 1938. A true coin collector! 1972-1974 GSA sold 3 million Morgan Carson City Dollars by mail order! You might already know this, but when the first Morgan Dollar came out the public was not all that thrilled about idea. Because of this millions of these Morgan Dollars sat uncirculated. In 1962-1963 some scarce New Orleans Morgan Dollars were released which stimulated collector and the interested. The Silver Dollars went fast! To start with the Treasury held 180 million in 1960 and by 1964 they were down to 28 million. That is when the treasury stepped back and said "slow down" an audit was done to figure out exactly what they had. Nearly three million uncirculated Carson Million Silver Dollars were found and set aside. Now how do you equally distribute all the Carson City Morgan Dollars? The commission recommended to President Nixon the idea of a mail order bid. Congress provided the funds to the GSA (General Services Administration). Posters were printed and taken to approximately 40,000 post offices and 60,000 banks in a huge advertising campaign. The Carson City Morgan Dollar was on display at coin shows, banks even took turns showcasing the actual Carson City Morgan Dollar. The advertising didn’t stop there short documentaries were made for TV. In 1971 the GSA took the Carson City Morgan dollar from Washington D.C. to West Point NY. It took 7 heavily guarded semi trucks to transport all the silver. Once the Silver Dollars were safe at West Point the inspection, weighing, counting and packaging was about to begin. Each Silver Dollar was inspected by hand. At first the idea was to use a machine to inspect the coins which would speed up the process, but in the end decided against it due to the fact the machine might scratch the coins. So the daunting task of inspecting every single coin with white gloves began. We just finished talking about The Pittman Act in an article I posted Analyzing the Pittman Act. Now that was not the only time silver dollars have been melted down! Silver Dollars were melted down each year beginning in the 1880's for all sorts of reasons perhaps they were mutilated or un-current. On December 18th 1942 approximately 50,000,000 silver dollars were melted for war time uses. I think of all those silver dollars melted gone forever, but from the melting of those came new silver dollars. On March 14th, 1900 the gold standard act was passed. The act stated that gold would be the only standard for redeeming paper money. This act also confirmed the nation's commitment to the gold standard by assigning gold a specific dollar value. Now gold would be the single monetary standard unit of value and would consist of 25.8 grains of gold nine-tenths fine. Skip forward to 1904 when silver reserves were extremely low as was the demand for the Silver Dollar. By 1904 when the last amount of silver bullion purchased under the Sherman Act was depleted the coinage of the silver dollar ended. But the history of the Morgan Silver Dollar didn't just end right there... No it was brought back to life for just one more year in 1921. The Pittman act of 1918 directed that not more than 350,000,000 standard silver dollars would be converted into bullion and sold or used for subsidiary silver coinage. Wow! Think of all those silver dollars that would have been melted down.... A total of 270,232,722 silver dollars were melted and 259,121,554 of those melted dollars was sold to the United Kingdom at $1 per troy ounce. Why did we sell that much silver bullion to the United Kingdom? Because India didn't believe their banknotes issued by the British government would be redeemable during the world war which caused a run on the British supply of metal. The Pittman act which was introduced by Key Pittman of Nevada introduced the bill mainly as a relief effort for the British government. Another aspect to the Pittman Act was the authorization of coinage replacement for every silver dollar melted. Thus why the 1921 Morgan Silver Dollar was minted for one final year ! One small problem all the coinage dies had been destroyed in 1910 so Morgan created an new master die for the dollar. The 1921 peace dollar was also minted on the same year to commemorate the resulting peace after the world war.